Your email address is used to confirm that you are a current SDHS member and also send you a confirmation message. 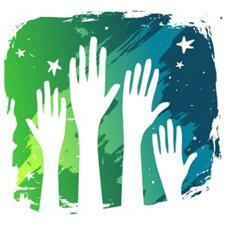 We are looking for talented people to serve on the Board of Directors. The San Diego Horticultural Society is organized as a California public benefit corporation with no voting members. All planning and voting is done by the SDHS Board of Directors volunteers. The board is composed of 15 members exclusive of any ex officio (non-voting) members. Elections for open board positions occur annually at the September board meeting or via email ballot in advance of the meeting. Most directors serve a three-year term of office, with vacancies filled by approval of the Board until the next annual election. Up to three directors serve a one-year term as at-large members. This is a great opportunity to learn more about serving on the board and potential become a 3-year member. Board meetings are held the third Monday of the month in January, March, May, July, September and November. Meeting time is from 10AM to noon at the San Diego Botanic Garden. Board meeting times and dates are occasionally changed based on board member's schedules. Board members are required to attend at least 3 of the 6 board meetings. In addition, board members are expected to participate in as many SDHS events as possible during the year, and to volunteer whenever possible for those events. While not a requirement, most communications between board members is done via email. We request board members have an email address and read their email on regular basis. To be considered for next year's board, applications must be submitted prior to August 1st of this year. The Nominating Committee will review your application and contact you.